About You - Are You An Ideal CRM for Small Business Client? Are You a Perfect “CRM for Small Business” Client? Ideal CRM for Small Business clients have 10 unique characteristics. How well matched is your business and ours? 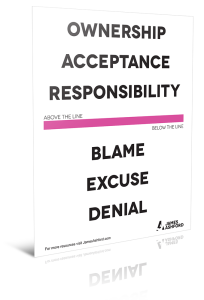 You are an above the line thinker. (Want to know what that is? Watch this.). If you’re not, stop reading this now. or are running an e-commerce business on the Magento, Shopify, Bigcommerce or WooCommerce store platform. You’re a straight-talker, but a pragmatist, and have got an opinion about the good, the bad and the ugly in your own market sector. You want to forge a clearer path to making your business stand out from the crowd. We can probably help one another. You run a small but growing business and are keen to grow it further. You fear business “mediocrity”. You’re proud to run a small business that serves your customers, employs people and makes you – or has the potential to make you – a good income. You’ve wondered how you can get more out of your business through using technology or making better use of the technology you have. You’d welcome somebody helping you to do that thinking. You’re committed to own personal development, you’re a planner for growth and you seek continual improvement. You’re open to new ideas and savvy ways of marketing, but demand that your time and money are effectively used and financial investments are rewarding and measurable. You’re based in a location where we have a track record for getting the best for clients: whether you are based in the UK’s happiest town, Harrogate, somewhere else in God’s own county of Yorkshire, elsewhere in the United Kingdom (with most of our customers), in Germany, elsewhere in Europe or are further afield, meeting online – webcams, screen-sharing, recorded training sessions and all – breaks down all the barriers of not being in the same room together. And it’s today’s most preferred way of working… We’re helping clients generate new business as far east as Sydney, Australia and as far west as the US West Coast. if it involves a financial investment, that there is a predictable return on making that investment. You like the potential of marketing technology helping your business but you’re not focused on technology for technology’s sake. As a small business owner you’re not sitting in a corner office of the ivory tower wing of gleaming corporate headquarters. You’d like to be thinking about your marketing, the activities required to get to the next sale, how the finances are looking and keeping things moving onwards and upwards. But here’s the thing…. in running any small business we can sometimes focus only on immediate priorities. This can mean that generating leads, following-up with leads and chasing more business with existing clients can fall by the wayside. I hope there’s an opportunity for us to help you plug any of those gaps. You love working with small businesses. We do too. They bring refreshing honesty and – when they see value in helping one another – they bring the most rewarding relationships. We hope you like the site and can benefit from what we might help you learn or can bring to your business. If you’ve spent the last few minutes nodding in appreciation at how we are similar, find out how here: a little bit about us. And if all you’ve read sounds great, then why not get in touch? When you’re ready to arrange a chat, just call our office on +44 (0)1423 790 114, or get in contact via the form on the right of this page.